The fx4 level 2 has a complete black interior from the headliner to the carpet. Yes my stepson justpicked up a 03 FX4 level 2 truck to flip. It has all black interior!! cloth seats. I know there was also a leather seat option. I think it was only 02-03 years?? Yep, seats a secondary but I want the black dash and door panels. I'd like to find a set of black sport trac seats like yours. Or you can order Katskin leather covers for your seats? I asked you when we did the ROTM on interiors, I noticed your seats were different than those who did the explorer seat swap. I asked you in a PM that I dont have anymore. I thought you said they were from an 04 sport trac. 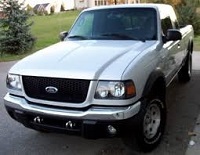 So what are the seats that are currently in the black 06 xlt. They were black with grey inset panel. Never asked if they were covered. I assumed they were factory leathers. I really like those. But where did you get these out of? 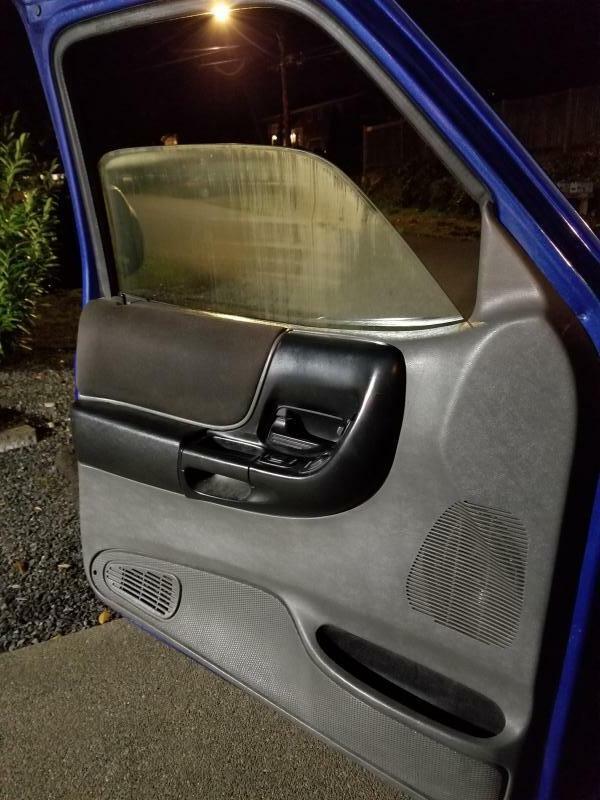 Are these seat covers or factory leather? They came from an 04 expo sport trac. They are a factory option in the sport trac and expo sport. They were available in 2 tone gray and 2 tone tan. The gen 1 sport trac adrenaline had these standard with adrenaline embroidered in the head rests. Awesome. Thank you. I like these more than the standard expo leathers. They have different insert panels. That's what caught my eye after seeing them next to other rangers that had expo seat swaps in the ROTM. ppppppppppppppfffffffffffffffffffffffttttt Ill keep my eyes open...but to find one of those trucks with a clean interior to rob parts from? It better be T boned or bent up otherwise Ill keep it! Like I said I will keep my eyes peeled. Might have good luck on Ebay I see the black FX4 and two tone Explorer seats on there all the time. Thanks buddy. You said, what's my dream.... Lol. I cant wait to see the shop. But what's it gonna cost to ship it. Ugh... Hahaha. Lol. Dang it! Be careful to differentiate between FX4 Level II and FX4 Off Road. Which one had the predominantly black interior varies year to year. Most had an all black interior with black radio bezel. The black cloth seats had greyish "cracked" pattern inserts. There were a few 2002 FX4's with a tan interior instead. No black leather seat option in 2002. Black interior with silver radio bezel. Seats were black with red or blue inserts depending on exterior color choice. 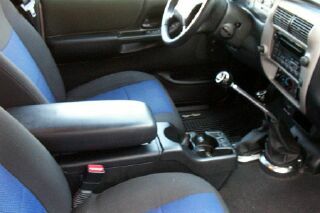 No black leather seat option in 2003. Black interior with silver radio bezel. Seats were black with red or blue inserts depending on exterior color choice. Black leather seats optional on Level II only. Black interior with silver radio bezel. Seats were black with red or blue inserts depending on exterior color choice. Black leather seats optional on STX and Level II only. Black interior with silver radio bezel. Seats were black with red or blue inserts depending on exterior color choice. Black leather seats optional on FX4 Off Road only. No all black interiors. Dark Flint (grey) only for these years. 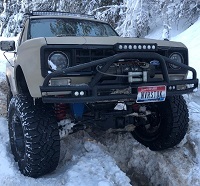 Owners of other Ranger models sometimes do a "sticker upgrade" to FX4 Off Road or Level II. Used car dealers too. 06~07 Level II's have "FX4 Off Road" on the bedsides AND "Level II" on the doors. The 06~07 FX4 Off Road model does not have the door stickers. The somewhat rare 06~07 Ranger STX's share much, if not all, of the Level II interior parts. Many 04+ Rangers have what's called a Dark Flint interior. It is grey, NOT black. My 03 Level II as it came from the factory. All black interior except for silver instrument panel, silver radio bezel, silver shifter bezel, chrome shifters and blue inserts in the black seats. My 07 sport is a dark grey with black radio bezel and black cloth seats with a white or grey panel. Be careful to differentiate between FX4 Level II and FX4 Off Road. Which have had black interior parts varies year by year. Most had an all black interior with black radio bezel. The black seats had greyish "cracked" pattern inserts. There were a few 2002 FX4's with a tan interior instead. Black interior with silver radio bezel. Seats were black with red or blue inserts depending on exterior color choice. No leather seats in 2003. 06~07 Level II's have FX4 Off Road on the bedsides AND Level II on the doors. 06~07 FX4 Off Road's do not have the door stickers. Wow. Thank you for all the detailed info. Page processed in 0.3004 seconds (19% database + 81% PHP). 128 queries executed.